Kajol Devgan popularly known as Kajol, was born on August 5, 1974. Her maiden name is Kajol Mukherjee. Kajol is an Indian film actress who supremely works in Hindi cinema. 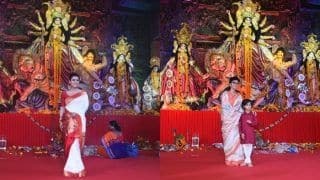 She is the daughter of late filmmaker Shomu Mukherjee and actress Tanuja. Kajol was born into the Mukherjee-Samarth family. 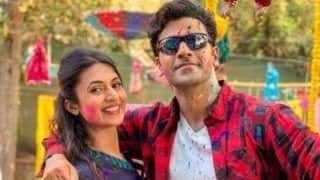 Her younger sister is also an actress and her name is Tanishasa Mukherjee. 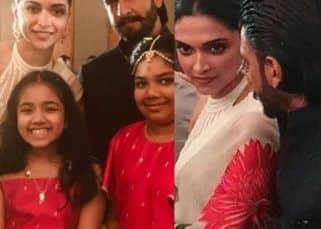 Kajol's cousins Rani Mukerji, Sharbani Mukherjee and Mohnish Behl are also Bollywood actors; whereas another cousin of hers, Ayan Mukerji is a director. Kajol has received numerous awards, which includes six Filmfare Awards, twelve other nominations. She holds the record for five Best Actress wins at Filmfare along with her late aunt Nutan. Indian Government has awarded her with the Padma Shri which is considered to be the fourth highest civilian honour of the country.According to Kajol, she was extremely mischievous as a child. She also said that she was very stubborn and impulsive from a very young age. When she was young her parents got separated; but according to Tanuja, Kajol was not affected by the split. Kajol was looked after by her maternal grandmother in the absence of her mother. Growing up in cross cultures, kajol inherited her mothers Maharashtrian pragmatism and her fathers Bengali temperament. Kajol completed her schooling at St Joseph Convent School, Panchgani. She also took active part in dancing, acting reading fiction apart from her studies. At the age of sixteen, she began work on Rahul Rawail's film Bekhudi. During her summer vacations she initially intended to return to school after shooting for the film during. 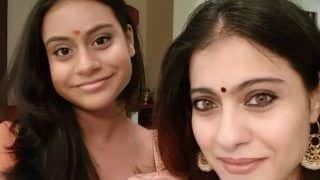 However, to pursue a full-time career in film she eventually dropped out of school.Kajol made her acting debut at the age of seventeen in the 1992 romantic drama Bekhudi alongside debutante Kamal Sadanah and her mother Tanuja, who in the film also played her mother. Although the film turned out to be a box office flop. Kajol's performance started emerging when she was signed for Baazigar (1993), a thriller by Abbas-Mustan, and it became a major commercial success. The film co-starred Shah Rukh Khan, Shilpa Shetty and Siddharth Ray. 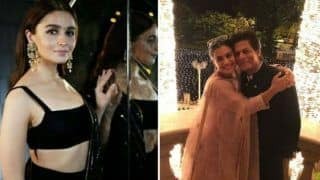 Among her several collaborations with Shahrukh Khan this film marked as the first.In 1994, Kajol featured in the melodrama Udhaar Ki Zindagi, but the movie failed to do well at the box-office. However, Kajol received praise for her performance and won the BFJA Award for Best Actress. 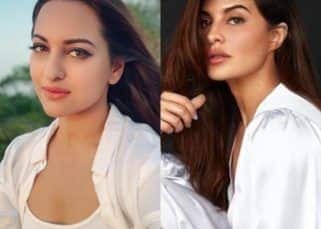 She subsequently starred in and earned public recognition with Yash Raj Films's hit romantic drama Yeh Dillagi, alongside Akshay Kumar and Saif Ali Khan. The success of Yeh Dillagi proved a breakthrough for Kajol and her performance in the film fetched her first Best Actress nomination at the annual Filmfare Awards.In 1995, Kajol starred in two major blockbusters, one is Rakesh Roshan's Karan Arjun and Aditya Chopra's Dilwale Dulhania Le Jayenge. 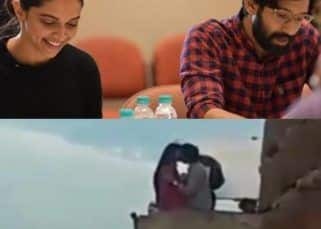 Both the movie was signed opposite Shah Rukh Khan. 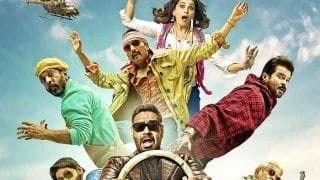 The former was a melodramatic thriller and the film eventually emerged as the second-highest-grossing film of the year in India. 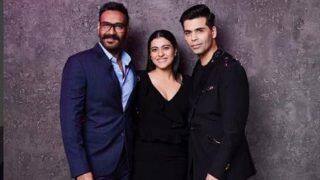 Kajol's next three releases that year was Taaqat, Hulchul and Gundaraj which failed to do well commercially; the latter two were her earliest collaborations with her future-husband, the actor Ajay Devgan.Kajol's fifth and final release of the year, the romance Dilwale Dulhania Le Jayenge, was not only the biggest commercial success of 1995, but also one of the most successful films of all time in India. 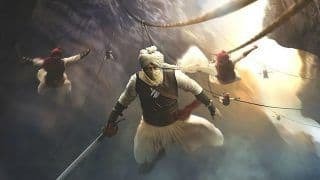 The film, which earned a worldwide gross of ?1.23 billion (US$18 million) at the time of release, has been continuously running in Mumbai since then. Dilwale Dulhania Le Jayenge was also a major critical success; it won ten Filmfare Awards, and Kajol's performance as Simran Singh, a young NRI from London who falls for Shah Rukh Khan's character was praised, earning her a first Filmfare Award for Best Actress. And this on-screen chemistry has become the stuff of legend. In 1996, Kajol starred in Vikram Bhatt's action drama Bambai Ka Babu, opposite Saif Ali Khan and Atul Agnihotri. Upon release, the film emerged as a major critical and commercial disaster. Other successful movies of Kajol are Pyaar Kiya To Darna Kya(1998), Pyaar To Hona Hi Tha (1998), Kuch Kuch Hota Hai (1998), and Kabhi Khushi Kabhie Gham... (2001). 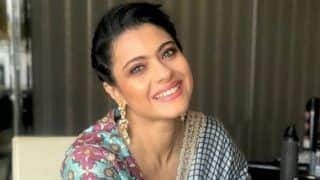 Kajol also garnered critical acclaim for playing against type in the 1997 mystery film Gupt: The Hidden Truth and the 1998 psychological thrillerDushman. 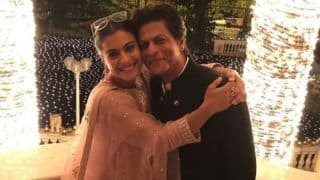 Following a sabbatical from full-time acting in 2001, Kajol returned to films with the 2006 romantic thriller Fanaa, and continued working infrequently thereafter, playing leading roles in the dramas U Me Aur Hum (2008), My Name Is Khan (2010), We Are Family (2010), and the comedy-drama Dilwale (2015). She, thus, established herself as one of India's most successful actresses.In addition to acting in films, Kajol is a social activist and is noted for her work with widows and children, for which she received the Karmaveer Puraskaar in 2008. She has featured as a talent judge for Zee TV's reality show, Rock-N-Roll Family and holds a managerial position at Devgan Entertainment and Software Ltd. 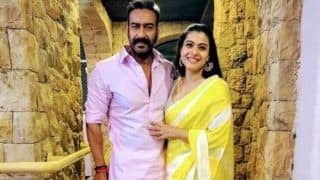 In 1994, while filming for Gundaraj Kajol began dating fellow actor, Ajay Devgan. Members of the media, however, labelled them as an "unlikely pair" due to their contrasting personalities. They subsequently got married on February 24, 1999 in a traditional Maharashtrian style ceremony at the Devgan house. On April 20, 2003, Kajol gave birth to a daughter, Nysa. Seven years later, on September 13, 2010, she gave birth to a son, Yug.